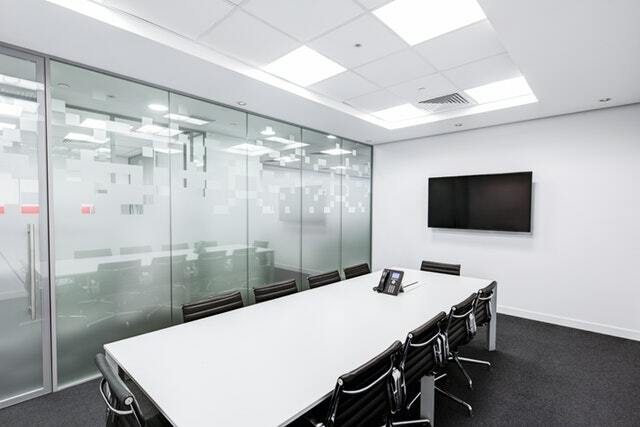 We all spend a lot of time at our workplace, so it’s not surprising that office renovation design has become an important topic in the business world. After all, it has been shown that it can influence our mood and have a huge impact on our productivity and readiness to give our 100%. Having this in mind, we’ve prepared a list of several amazing tricks for creating a highly productive workspace. Feel free to take a look at them and come up with even more innovative ideas. First things first, when designing for an office renovation, one must put a lot of thought into choosing the right nuances for the walls. This is essential since colours can greatly affect workers’ mood and productivity. For instance, if you want for you and your colleagues to feel relaxed and be able to start each day with enthusiasm, you should opt for some neutral tones like white, classic grey or beige. On the other hand, if you’re feeling that you could use more positive energy around the office, bolder shades like tangerine and lemon yellow will definitely spark your imagination and inspire your creative side as well. Of course, these vivid colours are better introduced by incorporating smaller details since you don’t want your workspace to look overcrowded and incoherent. Before you start dealing with certain details of your workspace design, you should decide on the best floor plan for your office. The main dilemma here is whether to opt for an open floor one which promotes collaboration, or to stick to traditional secluded booths that provide workers with more privacy. Even though both options have certain advantages and disadvantages regarding their impact on workers’ productivity, we believe that the combination of these two styles would be the best. After all, while it is great for your employees to be close to each other, they should also have a quiet place where they can work individually. Furthermore, in order to have this project completed in a timely manner, you should make sure to hire an experienced renovation company. On top of that, opting for the practical prefabricated steel frame solutions will accelerate the renovation works and allow you to move in your brand new office in no time. Spending time in a poorly-lit room can leave serious consequences on one’s mood and make them feel absolutely depressed and devoid of any motivation. So, if you want to avoid this kind of feelings from occurring in your office, remember to install some quality lighting fixtures. For instance, LEDs have gained in popularity immensely due to their energy-efficient quality, as well as the natural atmosphere they help create. Not only, will they provide your workers with a boost of energy, but they will help you save significantly on your energy bills as well. However, aside from seeing to it that your workspace is well-lit, you must let enough sunshine in as well. As you probably already know, natural light has proven to be extremely beneficial to both our mental and physical health. Therefore, when hiring a renovation company to redesign your office, talk to them about opening a few more windows and other possible solutions for boosting employees’ access to daylight. Last but not least, nothing can suffocate a person’s creativity easier than an overcrowded and messy place. Therefore, it’s of the utmost importance to keep your workspace neatly organised and de-cluttered. Having this in mind, it’s not surprising that minimalism has become a true craze among office designers. What it offers is elegancy and sophistication which is not overburdened with too many details. So, instead of stuffing your office with too many furniture pieces and accessories, you should try to keep it simple and choose just a few focal elements. As you can see, designing a workspace that is employee-friendly doesn’t have to be a difficult task. You just need to get rid of everything that can possibly hinder your workers’ productivity and focus on choosing the design solutions that have been shown to boost one’s creativity and readiness to give their best. Good luck with the project!